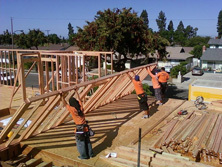 A typical frame job in California will consist of Douglas fir lumber members such as two-by-fours, two-by-sixes, and two-by-eights. 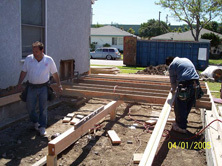 Floor: When building on a raised foundation, a framed floor system is laid on pressure-treated sill plates to prevent moisture damage to the conventional framing members. The floor joists should be the same size as in the existing house. 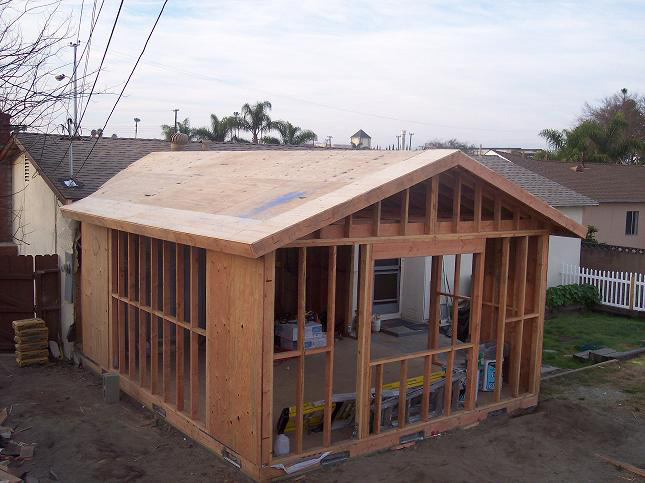 They are usually spaced at 16inches apart with the bottom of the joist 18 inches above ground level. 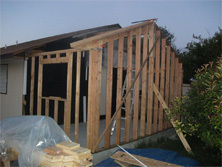 Walls: The walls are usually built with two-by-four “studs” spaced 16inches on center. The framers will build each wall on the ground, cut and frame the openings for the doors and windows, and then lift up the walls and nail them in place. 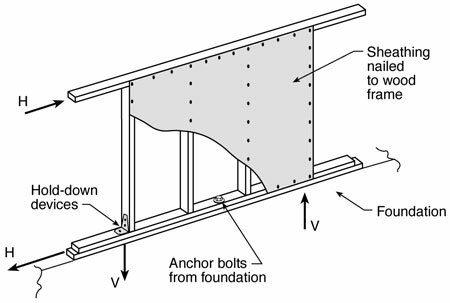 Balloon framing: This is a method in which long, continuous framing members (studs) “run” from sill plate to eave line. 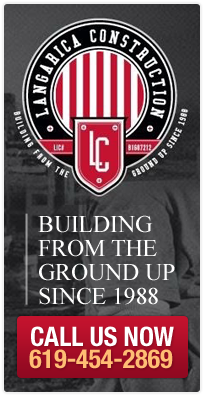 Once popular when long lumber was plentiful, balloon framing has been largely replaced by platform framing. 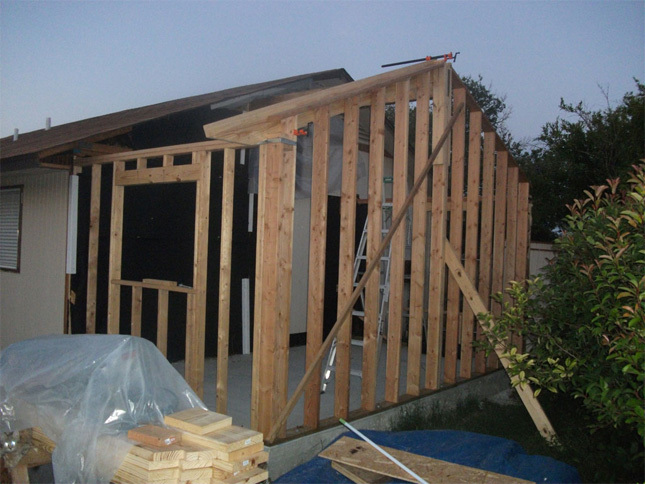 Shear walls: Almost every structure designed these days will include walls composed of braced panels (also known as shear walls) to counter the effects of lateral load acting on a structure by wind and earthquakes. Sear walls are basically regular framed walls covered with structural graded plywood. Openings, such as windows, doors, or any other kind, are not allowed in these kinds of walls. 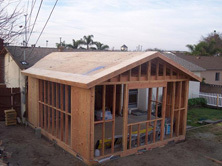 The roof structure can be built to size on site with rafters, ridge beams, and ridge boards or assembled with prefabricated sections called trusses. 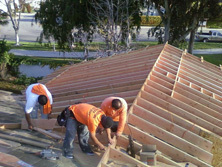 A truss roof is usually faster to install, and lower in cost; however, custom framing allows more freedom when designing your attic space for storage, furnace instillation, and more.